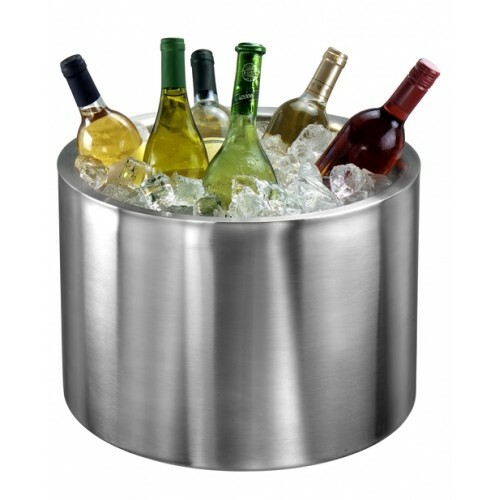 This extra large wine cooler can hold eight full sized wine bottles or up to eighteen beer bottles, this substantial double walled stainless steel wine cooler makes a striking centre piece to any bar countertop display. Looking to buy some Large Drinks Coolers? If you would like some advice on purchasing Large Drinks Coolers, simply contact our expert sales team, giving us either an email or phone number on which to contact you and we'll get back to you with the best advice or contact us by email: [email protected] Phone: 020 8424 8886.